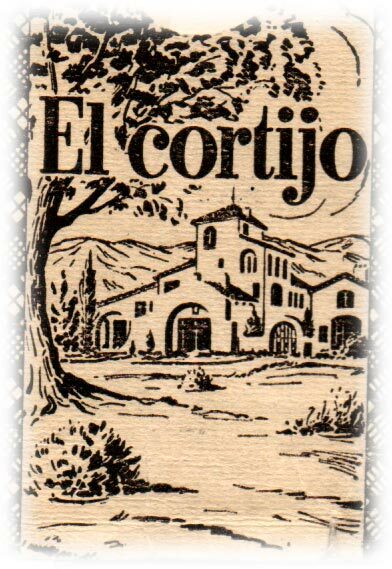 Naipes "El Cortijo" (the Farmhouse) c.1955. 40 cards/40 naipes. 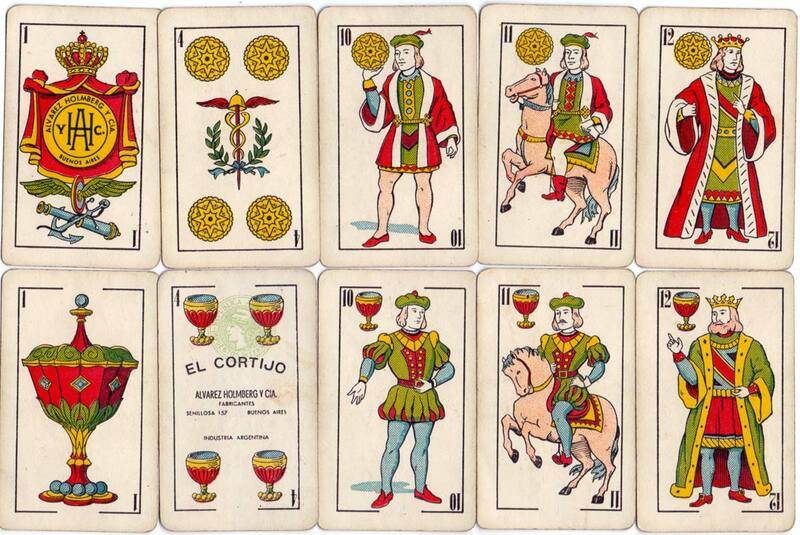 The courts are based loosely on the Spanish Catalan pattern, although the sotas are somewhat novel and have shadows beneath them. 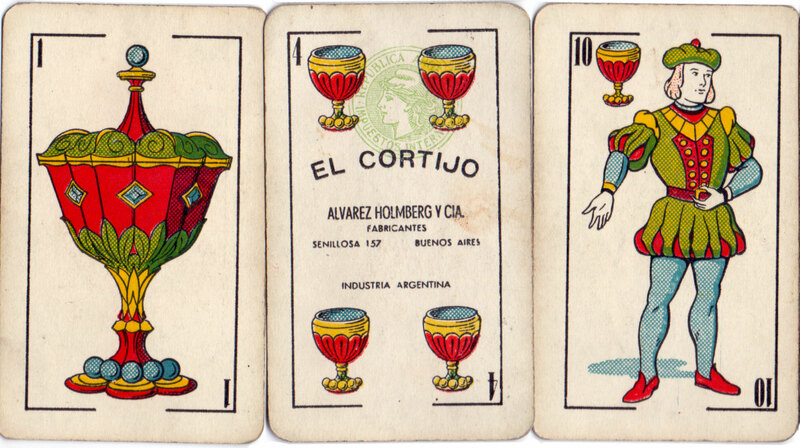 The symbols on the Ace of Coins allude to the forces of air, land and sea which was often the case with Spanish-suited cards. 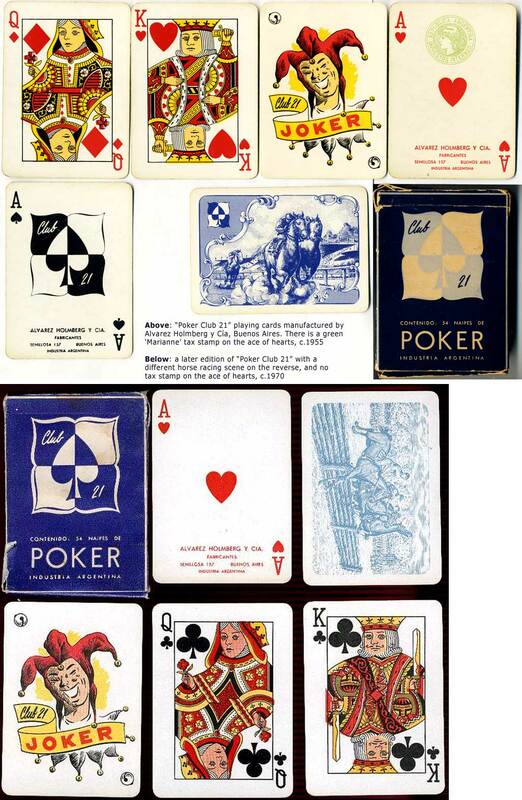 Holmberg also produced Club 21 Poker playing cards which were still in production around 1970. 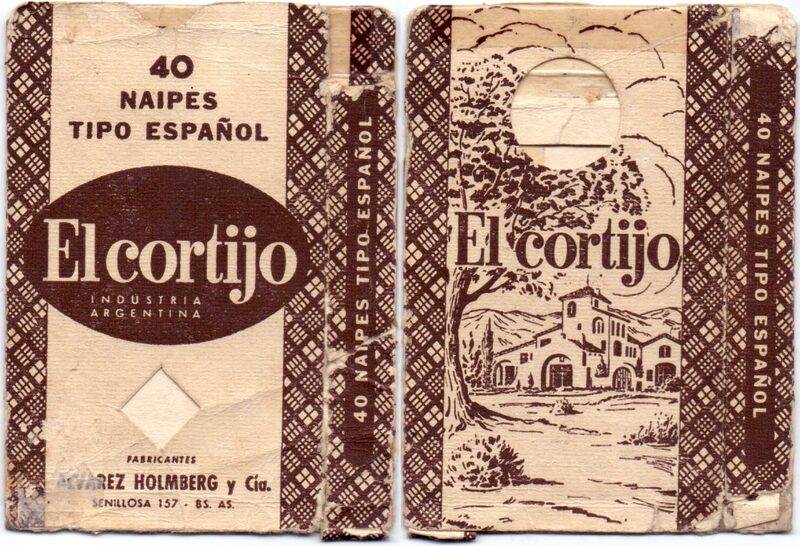 Above: Naipes ''El Cortijo' by Alvarez Holmberg y Cía, Buenos Aires, c.1950-70. 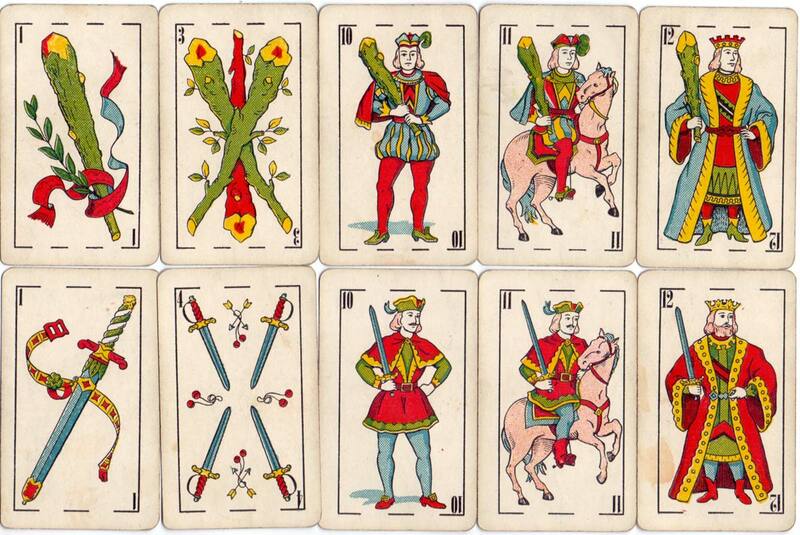 The cards are slightly narrower than normal. (Clich image to zoom).